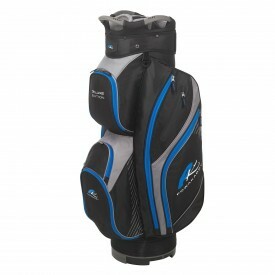 Powakaddy cart bags have been designed with the trolley in mind. They have an intergraded a keylock base that make your bag sit perfectly on your trolley stopping any movements that the bag may have through out your round. 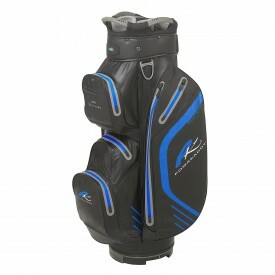 Most cart bags twist and move and sometime slip off your trolley because they do not have this integrations. Also within the design of these bags are oversize E-ZEE handles grips to make it easier to put and take off your bag from your trolley. New for 2016 come the Powakaddy Dri Edition to sit at the top of the family of cart bags which have seen the Premium Cart bag, The Deluxe and the Lite enjoy great success in previous seasons.